No science behind coyote killing contests. The Wisconsin coyote is considered to be a furbearer and is hunted year-round. The Wisconsin coyote has been classified as vermin that is harmful to people, pets and livestock. This reputation couldn’t be further from the truth. Coyotes are highly intelligent, family oriented, skilled hunters and are benifical for maintaining healthy ecosystems. Coyote killing contest exist to conserve the species according to the old school of conservation ethics. But studies have shown that these killing contest don’t work. In fact they create a whole new set of problems for the coyote and may increase predation on livestock. 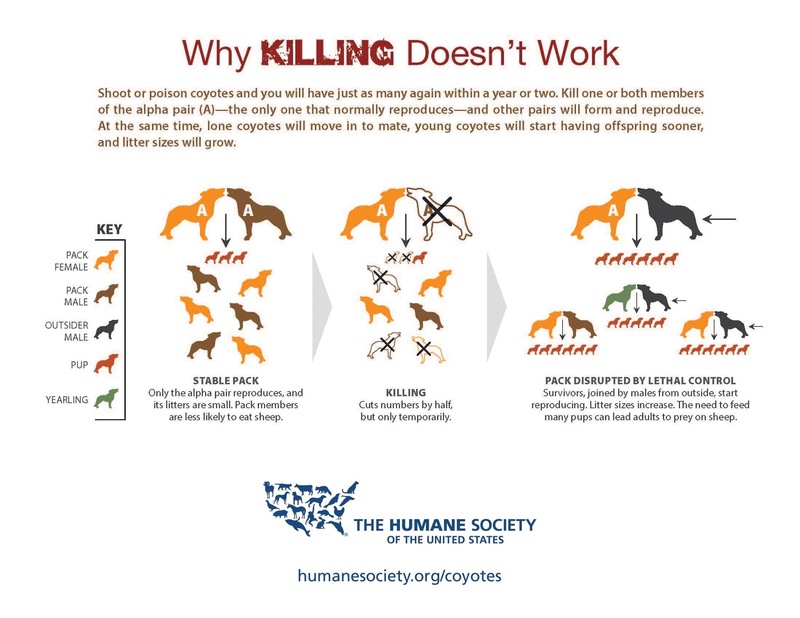 Infographic from: Why Killing Coyotes Doesn’t Work The Humane Society of the United States. Coyotes are hunted all year-round in Wisconsin. The following excerpt is from the WI DNR Furbearers page: Coyote (Canis latrans): The coyote is a medium-sized member of the canine family. Average coyote weight is between 20-30 lbs., though they can weigh up to 50 lbs. Coyote fur can be a variety of colors including gray, tawny, red, blond and black. Coyotes may be hunted year-round with the appropriate license, though the trapping season is restricted. Coyotes are considered furbearers. The definition of Furbearers by the WI DNR states; A furbearer is a mammal whose fur has commercial value. Traditionally, these are the mammals trapped for their fur, though not all of Wisconsin’s furbearers may be harvested in the present day. Coyote killing contests are held in the winter because the fur is at its best value. How much does a hunter get for a fur? According to eBay a tanned coyote hide can go from $50.00 to $300.00 for a coat. In the WI DNR website about Coyote is listed as a furbearer and can be hunted year-round. 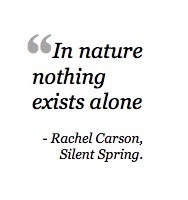 Yet, in this same discription there is no discussion about ecological benefits of coyotes. In researching this article I came across several coyote legends, myths & folklore, that put the coyote as being anthropomorphized into human form. Modern science recognizes that coyotes occupy their own unique space on the planet distinctly separate from humans. There is no science behind coyote killing contests. Wisconsin coyotes are killed for their fur and sport.